Abbas senior advisor accuses Hamas of intentionally sending Gazans to 'go and die', only so Hamas will have stories of dead to tell media. Palestinian Media Watch's Itamar Marcus reports that Mahmoud Al-Habbash, Abbas' Advisor on Islamic Affairs and Supreme Sharia Judge, delivered a sermon on Friday from the PA headquarters in Ramallah, in the presence of Mahmoud Abbas. He accused Hamas of deliberately encouraging civilians to endanger themselves: "You Palestinians, our people, go and die so that we'll go to the TV and media with strong declarations." Al-Habbash claimed the Palestinian population are not being fooled by Hamas anymore, and "sides with the PLO." 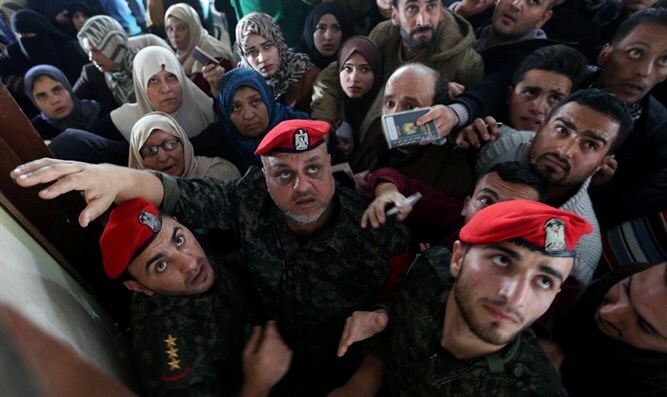 "The Palestinian people... doesn't care about those [Hamas] with 'the emotional stories of heroism,' those with the slogans of heroism - slogans that when you hear them, you think that the people saying them are inside the Al-Aqsa Mosque after they liberated it. And afterwards you discover that they're only selling illusions, trading in suffering and blood, trading in victims, [saying]: 'You Palestinians, our people, go and die so that we'll go to the TV and media with strong declarations.' 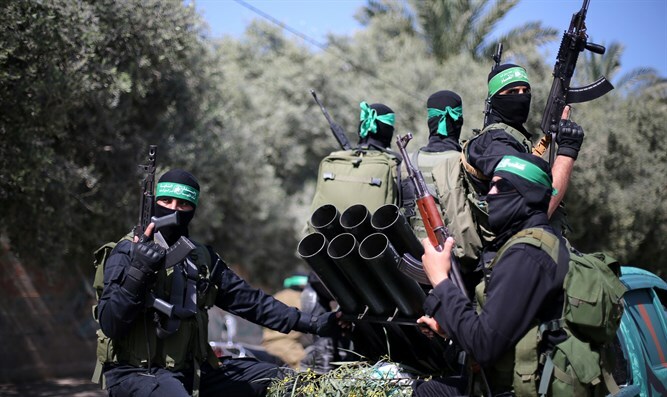 These [Hamas] acts of 'heroism' don't fool anyone anymore. The Palestinian people... sides with the PLO," said al-Habbash. While Abbas' advisor was criticizing Hamas for sending Palestinians to their death, Abbas' Fatah Movement celebrated the participation of an infant in the Gaza demonstrations. Fatah posted a photo of a six-month-old baby who had been placed on a pile of tires. The tires would eventually be burned at the Gaza demonstrations, reported PMW.